Daly, O'Neill and Associates Ltd. are Chartered Architects based in Portadown. Formed in 1990 we have a wealth of experience in the profession. 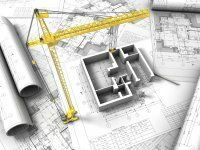 Since our establishment, our Practice has successfully undertaken a considerable variety of projects, ranging from £50,000 to £10 million, encompassing commercial work, public buildings and private housing. We offer a personal service with enthusiasm and a commitment to quality not quantity. If you would like to find out more about the services, which we offer then please do not hesitate to contact us and we will be happy to help you in any way that we can. You can contact us by calling 028 38 333 323 or you can send us a message using the 'Contact Us' page on this website.